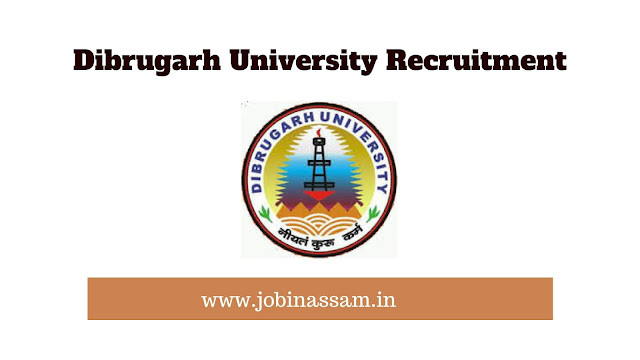 Dibrugarh University Recruitment 2019 || Apply Online Now: Applications in the prescribed form of the University are invited from the intending eligible candidates for the following posts in Dibrugarh University. Applications (along with 07 photocopies of the same) in the prescribed form of the University are to reach the Registrar, Dibrugarh University on or before 26/04/2019 along with a Bank Draft of Rs. 500/- in favor of the Registrar, Dibrugarh University, Dibrugarh payable at Punjab National Bank, Dibrugarh University Branch (Code: 994000). 7. Assamese(1): MA in Assamese/Sanskrit/Bengali/Hindi/Oriya/English: the candidates other than those who have done MA in Assamese must have proficiency in Assamese with 10 years experience [ UR ].